#1 Learn How to Relax your Entire Body. If you can relax every muscle and tension in your body, you will find peace within your mind. Relaxed body, relaxed mind. Practice sitting for 5 minutes comfortably in a chair (or on the floor) and release any tension in your body from head to toe. Imagine your body is filled with the most relaxing healing energy that instantly pushes out ANY tension that is held inside. If you’re sitting upright, keep your spine vertical yet relaxed, as if your spine were a gently balanced stack of golden coins, and let you hands rest comfortably wherever they are. The secret to a relaxed body is enjoying how GOOD it feels to let go, trust the Universe and let the body breathe for you. #3 Let go of the mind The greatest guidance I’ve found in learning how to meditate happened when I discovered how to allow all my mind’s attention to rest, be unfocused, and relax inside. There is no efforting to relax, that would be redundant. The goal is effortlessness on all levels of the mind. #4 Find your vertical center As you are sitting, being still and resting inside, relax into the “vertical center” within you. Your body has a center to it, that runs from the top of your head, down the spinal cord and into the base of your spine. This is your vertical center. Don’t force the mind to stay here, just allow your mind to relax into this space within. Eventually everything will come into it, and all mental efforting will cease. #5 Be the Watcher When thoughts arise, just watch them. They come and they go. Notice how you release them as quickly as they come. Watch and notice your thoughts without getting caught in them. Whatever distractions that arise, just give them space. Practice being unfocused pure presence. You are simply being completely empty, quiet and free. The state of pure unbounded consciousness is your natural state. #6 You are experiencing your own Presence. Just resting into you, the center of your being, you are experiencing your own presence. This is a sure way to transcend the mind. If your mind needs to focus on something, focus it on the breath, or on being unfocused while experiencing your own presence. This can be a very complicated practice, yet the mind loves a good challenge! Be extra patient with taming your mind. Any results from meditation practice may take from 3 days to 3 months to notice any shifts at all. #7 Be Gentle with Your Progress Even if you have been “meditating” for years and you feel you’re not getting any benefit from it, be gentle. This is a major achievement to train the mind. It’s a massive divine process of letting go of ALL egoic efforting to get somewhere, and just to relax into being present to the stillness that resides at our core. The mind is used to always focusing on something. The only way to stop it from constantly wandering here and there is by allowing it to be deeply unfocused. Unfocusness is the quality of simply being present to your BEING. Learning how to meditate and master your mind may take you months and even years without the proper guide. 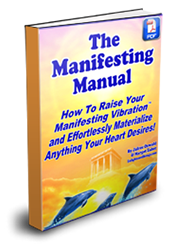 If you have the right guidance you can experience AMAZING results instantly! 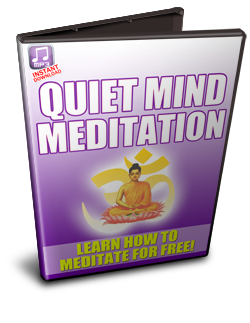 This FREE meditation program below will show you how to experience peace with yourself in a matter of minutes…enjoy! 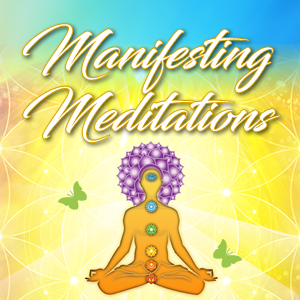 Check out these Powerful Meditation Techniques below that will Help you to Master your Mind… and your Life! 1. Follow your breath. Don’t try to control or change it, simply watch it. Surrender to it. Let the Universe breathe you. 2. Repeat one sound for 15 minutes so that it vibrates all throughout your body. A sound like AUM or HUM or HU will do. 3. Look directly into your another persons eyes for 15 minutes, gaze into the center of their eyes and dissolve. 5. Do the same thing yet with your eyes in a mirror. 6. Visualize a flower of light opening in each of your 7 main chakras. Imagine a brilliant fountain of golden light going up the spine and showering out the top of your head. 9. At night, focus on the space between the stars. Let yourself FEEL what is there. Become that empty space. 10. Focus on a brilliant golden light in your heart shining from an eternal source all throughout the day. 11. Dive into the silence between your heartbeats. Learning how to meditate is the essential foundation to true inner peace. When you find peace within, the outer world becomes a living reflection of this peaceful state. Be VERY patient with yourself and always congratulate yourself on what you’ve done. Positive reinforcement breeds confidence and furthers your practice. The rewards of meditation don’t come instantly. They always show up much further down the road in your life and will have many surprising rewards. When you have decided to become the master of your mind, you will also discover how to master every area of your life. Find stillness in those times of chaos, and you’ll be more able to manifest every day. Total devotion to yourself and constant self-love allows you to relax into anything that arises. The secret to living a life of peace comes from quieting the mind. It’s not about controlling it, yet learning how to let the love in. Learning meditation empowers us to hold the mind still so that we can focus on attracting a more enlightened experience of life. There’s nothing you need to do to actually “meditate”. Just relax and be. Simply being unfocused and experience your own presence is a state of non-efforting. This non-efforting is soooo divinely blissful, that you will know you’re on the right path when you catch a tiny glimpse of it. If the mind cannot stay present to being unfocused always come back to the breath. Focus of the sensation of air passing in and out of your nostrils you can learn how to calm the mind. There are basically two kinds of meditation, the traditional and the non-traditional. 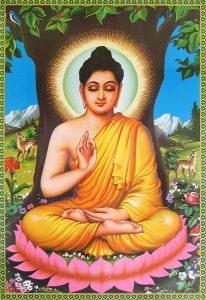 Traditional meditation techniques would include the repetition of an affirmation such as chanting a mantra, or perhaps following your breath, gazing into a candle flame etc. These are done for the sole purpose of training the mind so that it just GIVES UP and falls into the present moment. These techniques use a fixed experience inside or outside the body, such as a thought or idea, to center and still the mind. With the non-traditional approach, anything and everything you do can become a meditation. Walking to the bus stop, making dinner, washing your clothes, eating, etc. These everyday experiences become meditative when you bring a mindfulness and a fullness of your being into your experience. How much consciousness and presence can you have while you’re washing the dishes? Feeling the warm water run across your hands, the sound of scrubbing the pot, this too is meditation.